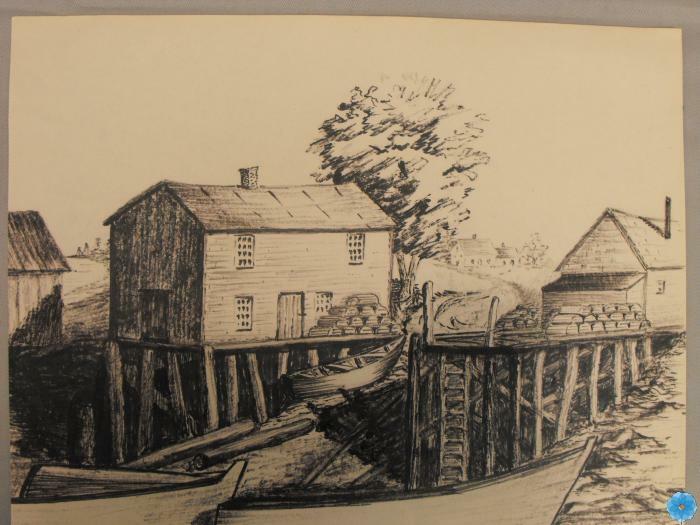 Description: This ink sketch is of Little River, Digby Neck. There are a couple of fish houses and wooden traps. There is one dory pulled up beside a fish house and two others in the water. One of the fish houses has a ladder going up to the platform. There is a tree behind one of the fish houses and beyond that is a house.